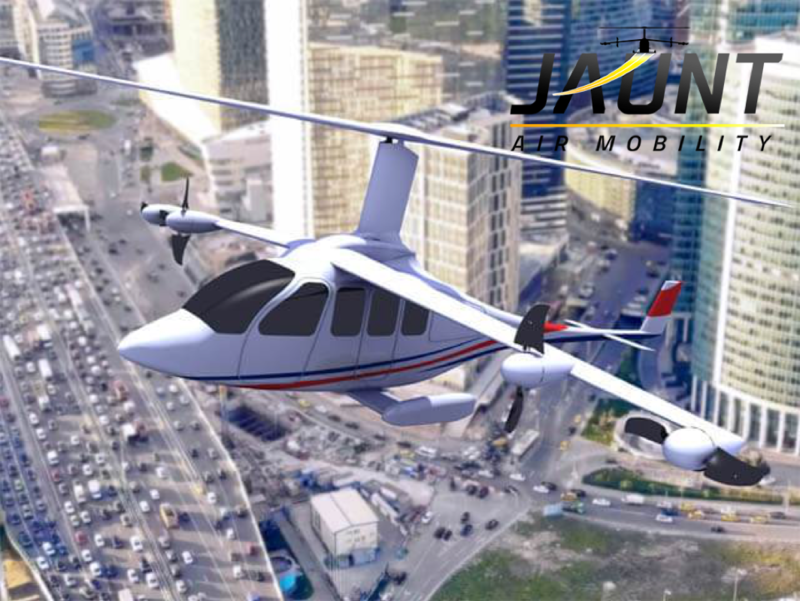 Jaunt Air Mobility, a UAM company that was recently unveiled at the Vertical Flight Society symposium this month, has acquired the rights to the Carter slowed-rotor compound (SR/C) technology used in the Carter Copter eVTOL concept. The Carter Copter, which Carter Aviation has named as it’s ‘Electric Air Taxi’ is designed to fit Uber Elevate’s specifications for Air Taxis. Unlike many other designs, the carter copter features a single, long lift rotor rather the IDEP (integrated distributed electric propulsion). Learn more about the Carter Copter specs. Carter believes that it’s slowed-rotor compound technology (SR/C), which it’s been developing since as early as 1998, could be an ideal solution for urban air taxis, owing to its added efficiency, safety, and noise control. Unlike other eVTOL concepts which require parachutes in the event of emergencies, the Carter Copter can use its rotor to complete auto-rotation landings. The rotor’s added length also makes for low rotor tip speeds, which would potentially lower the noise emission from the aircraft. 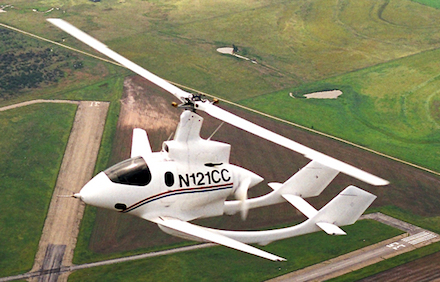 The Carter Copter technology demonstrator, which made its first flight in 1998. Apparently, Jaunt Air Mobility, a newly founded aspiring UAM company with little public information, agrees with Carter on the importance of slow-rotor compound technology. This week, Jaunt announced its acquirement of the SRC technology. Little is still known about Jaunt, except that it was founded last May by New Jersey engineer and entrepreneur Kaydon Stanzione. Jaunt aims at becoming another business partner for Uber Elevate and is currently seeking additional funding. Carter Aviation is also working on several other types of vertical flight technology and has a depth of knowledge and experience in the area. Since 1998, Carter has been developing manned prototypes of its vehicles, as seen below, including its PAV (Personal Air Vehicle), which is still in use and undergoing test flights. Why it’s important: With the Carter Copter, Carter and Jaunt Air represent the wealth of technology and depth of engineering knowledge that is being put toward the Urban Air Mobility Industry. The Carter Copter’s unique single-rotor design and SR/C technology, which reduces noise and increases effeciency, could make it a potential additional partner for Uber Elevate, which is the goal of Jaunt Mobility Founder Kaydon Stanzione. I have a patent on a VTOL aircraft that makes all current platforms obsolete.